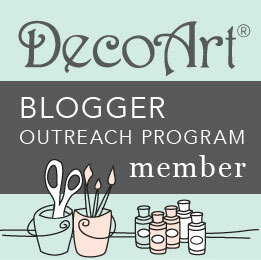 Hi there, crafty friends!! 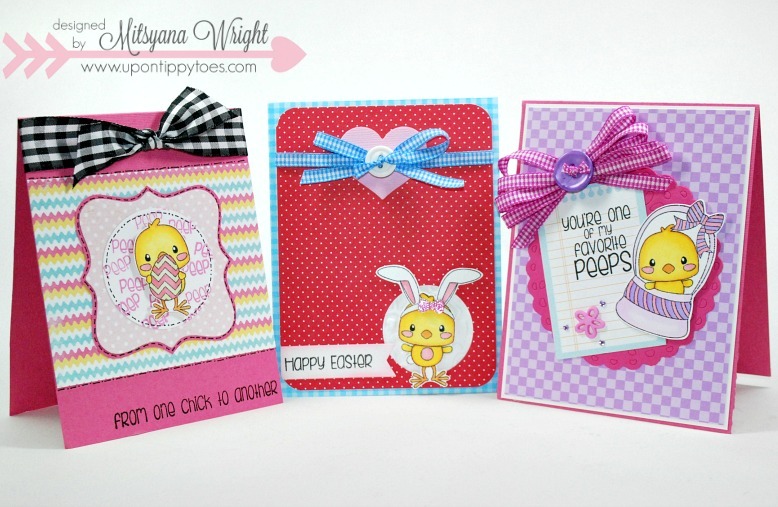 I have a little sneak peek and 3 cards to share with you today! Sorry there is no tutorial for you these cards but I have included a supplies list for each. 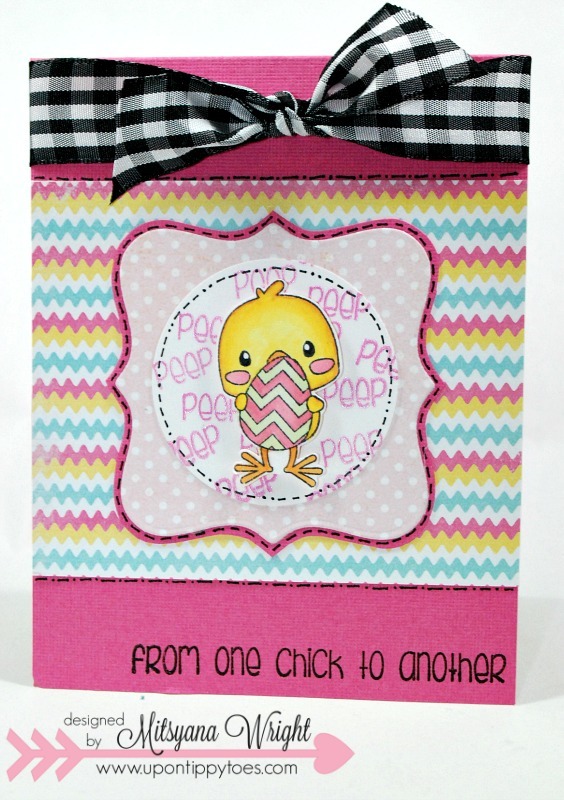 I am so glad to be sharing with you these adorable cards made with Pink and Main's new Easter Peeps set. It is one of 14 new sets that Pink and Main is releasing for the month of January!! 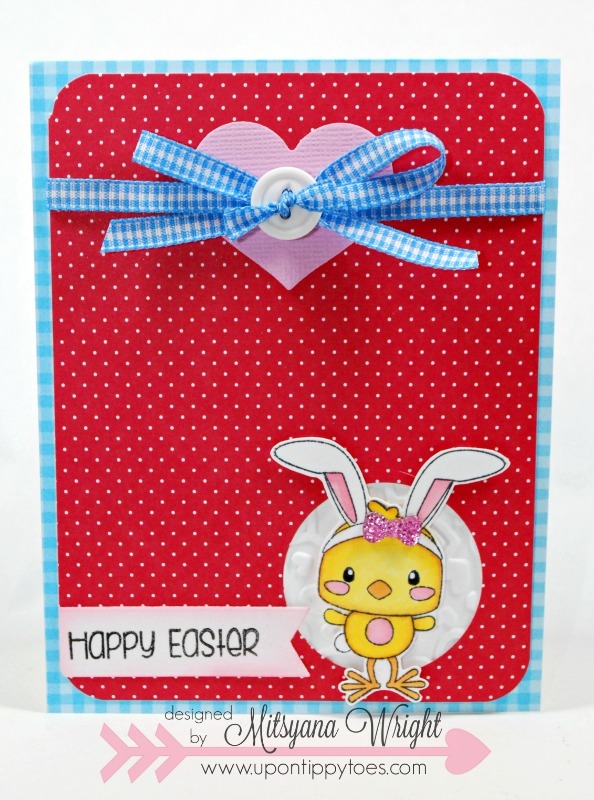 I used this one set to make all 3 cards and still had lots of stamps to create more!! Stay tuned for more sneak peeks!! This and 13 other new sets will be available for purchase on January 10th! 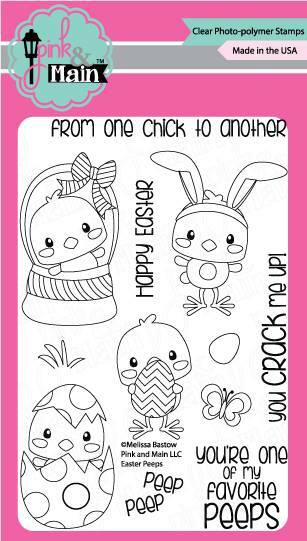 And... receive this adorable 2"x3" stamp set free (with a purchase of $30 or more)!! 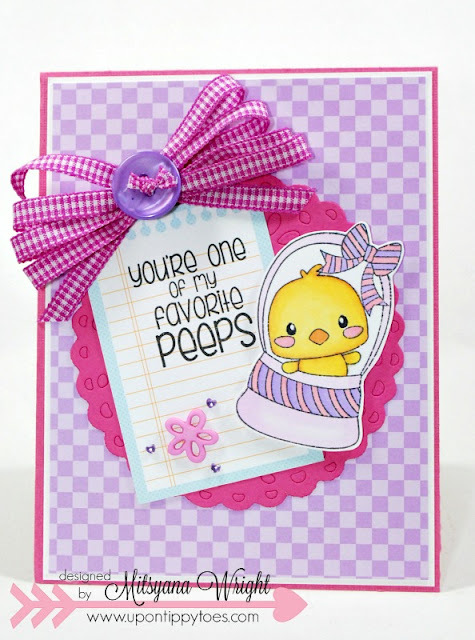 Hope these cards and stamps got you excited for more to come!! Hope you have an awesomely crafty day!!! All three are just too cute!